This prestigious development located in a conservation area features CUPA R 12 Excellence slate! CUPA PIZARRAS natural slate was specially selected for its qualities including its adaptability, longevity and elegant look. The exclusive Langton Homes development is set in Great Easton, England. Each property features over 5,500 square feet of accommodation and has been tailored to meet the needs of each family. CUPA 12 is a dark grey slate with thin laminations and a smooth matt surface quarried in la Campa (Lugo, northern Spain). The R Excellence selection is the result of an extraordinarily rigorous classification that is only passed by slates of great flatness and very regular thickness. 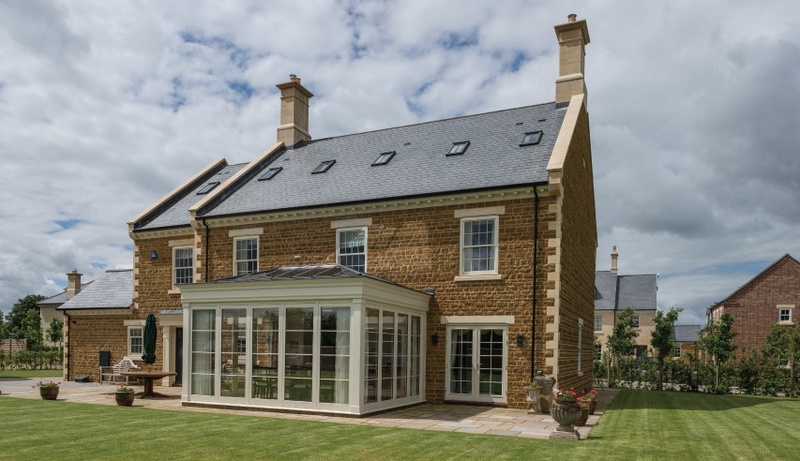 These slates are chosen by specifiers in the UK due to their exceptional consistency in both thickness and surface appearance, ensuring a homogeneous result. 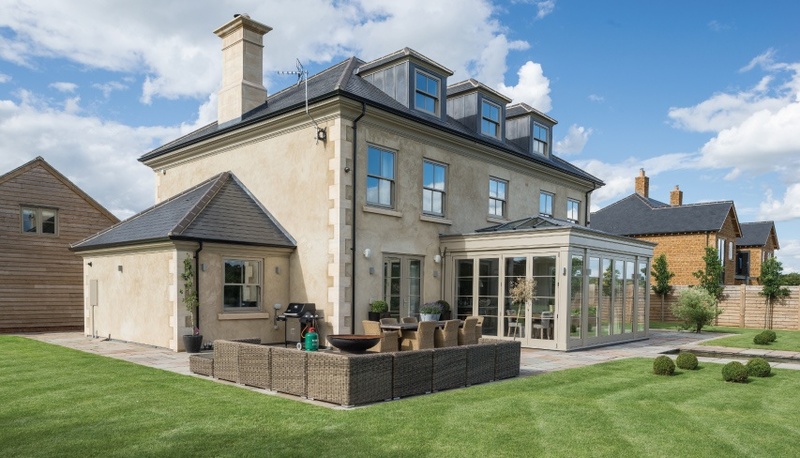 Our aim was to deliver an uncompromising design to reflect the natural beauty of the homes’ surroundings, with excellent quality of build, intricate craftsmanship and superior finishes. 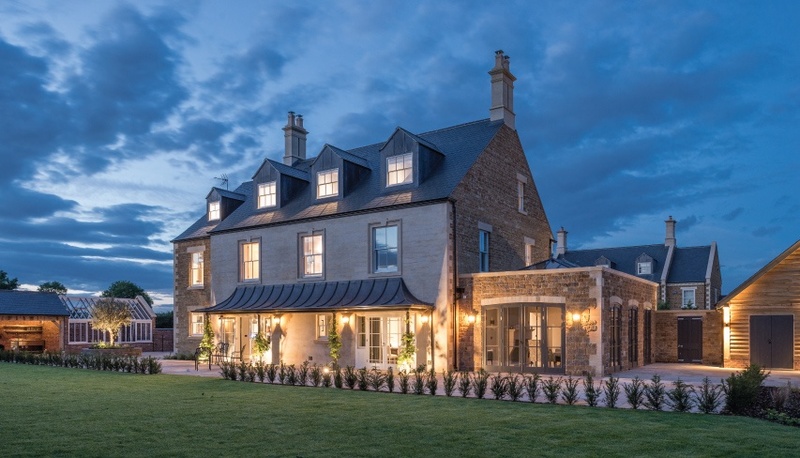 CUPA PIZARRAS slate’s timeless appearance not only complements all the external materials that make up the dwellings, but is also in harmony with roofing used throughout the neighbouring Conservation Area of Great Easton. CUPA 12 slate is a heavy and durable material which is not only straightforward to work with, but also allows for the extensive coverage required to reach the desired quality of finish. Also, due to the dwellings’ pitched roofs it is important that the materials can adapt to the demands of varying gradient levels, which CUPA R 12 Excellence slate does perfectly. Take a look at these other international projects featuring CUPA PIZARRAS roofing slates!